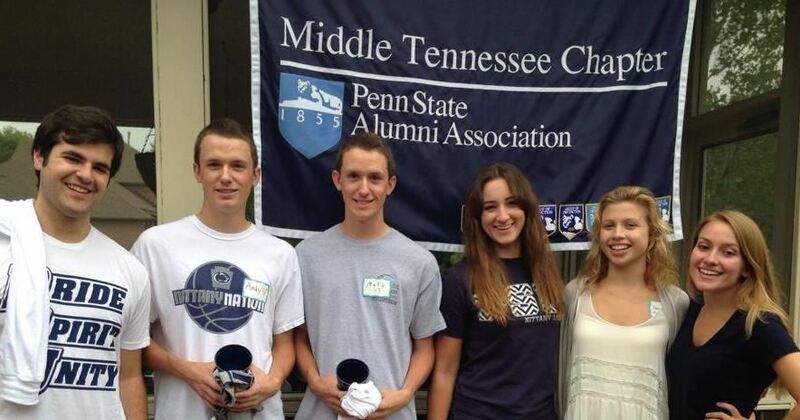 Each year, the Middle TN Chapter of the Penn State Alumni association awards a scholarship ($1,000 - $1,500) to a deserving student in the Middle TN area. Scholarship monies come directly from local alumni, friends and supporters through online donations, the sale of products in our Nashville Penn Stater's store and donations collected at our football viewing parties. Applications are mailed to scholarship candidates in late spring and the winner is announced at our annual summer picnic. Funds will be made available to the recipient prior to the start of classes that August. Please consider donating to our scholarship fund by using the form below. Your contributions are tax deductible and help grow our fund to one day provide larger or more scholarship awards to deserving students. Help us spread PSU pride through Middle TN! Fill out the form below to donate online. See our treasurer or event point-person at one of our events to donate with cash, credit card or check. NOTE: To ensure your funds are allocated to our scholarship fund, please be sure to write "scholarship" on the memo line of your check. Thank you. For more information about scholarships or donating to our fund, please email us at info@nashvillepennstaters.com.